Across the United States, former Aramcons are gathering for lunch on a regular basis as a way of staying connected. Many of these so called "lunch bunches" have been gathering for some time, while others are just getting started. Carloyn Thomas, organizer of the Daytona Beach - Ladies Saudi Lunch Bunch (husbands are invited too!) writes to tell us, "At our most recent gathering on April 23, 2005, we had a really good time and saw people we wouldn't normally see. We also met people we hadn't seen for a long time. We talked all evening about who we knew, where we worked, where we traveled, etc. Also, not only did people bring one Arabic dish to pass, but most were excited to be cooking Arabic food for people that appreciate it and some brought two and three dishes. We had grape leaves, tabbouli, shwarma, Arab bread, babaghanoush, hummus, semolina cake, dates, Arabic rice from the dining hall recipe, falafel and lots of other dishes." Below is a list of Lunch Bunches currently using Aramco ExPats web site to post announcements and keep friends informed. If you would like to start a Lunch Bunch in your area or would like to post announcements for your already existing Lunch Bunch, please email your information to Aramco ExPats at [email protected]. Carolyn Thomas invites Aramcons in or around Daytona Beach, Florida to attend the local Saudi Lunch Bunch. The lunch bunch is also open to women who lived in Saudi Arabia, not just Aramcons. For more information, please e-mail [email protected]. View photographs from the most recent Daytona Beach - Ladies Saudi Lunch Bunch. Read Daytona Beach Ladies Saudi Lunch Bunch A Success. View the Event listing: Daytona Beach - Ladies Saudi Lunch Bunch. Patricia Abahusayn would like to start a lunch bunch group for those who have lived in Saudi Arabia and are now living in the Orange County, California area. Please send your e-mail address and phone number if you are interested in attending to [email protected]. It doesn't matter if you were with Aramco or what part of Saudi Arabia you lived in. View the Event listing: Orange County - Saudi Lunch Bunch. Mary Ellen Lorray inivites you to join our Saudi Lunch Bunch in the Sacramento area. Please send your e-mail address and phone numbers if you live in or near Sacramento to [email protected]. Read First Gathering of Sacramento ExPats a Success. View the Event listing: Sacramento ExPats - Saudi Lunch Bunch. Meets 2nd Wednesday of each month at 12:30 p.m. at varied locations. Vern Steuber is the group coordinator (of sorts) and can be reached at 281-440-4268. 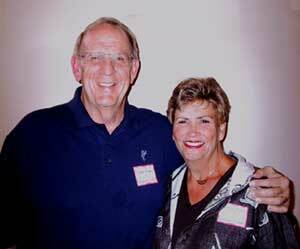 View the Event listing: Houston ASC-Aramco Retirees Luncheon Group. To post an announcement for your event, gathering or celebration on Aramco ExPats, please email your information to [email protected].